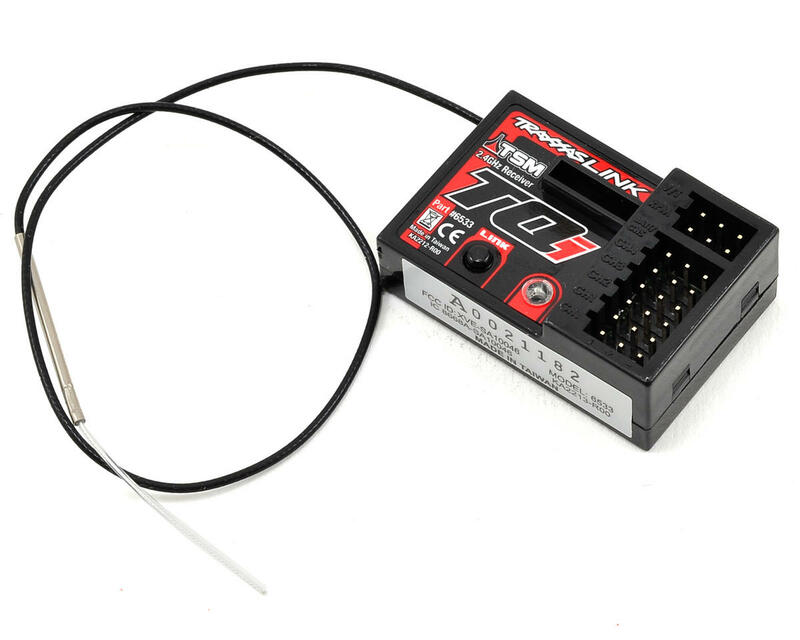 I called traxxas and the guy told me this is impossible to have a fast blinking red light on the receiver and having the throttle/steering works. I have a Max6 as ESC. I unplugged everything on the receiver, leaving only esc and servo, bind again but led still red. You probably have tried but just have your receiver plugged in with no servo and do a factory default and then try and rebind. I will try with the TRA6518 (TRA6533 without TSM) tomorrow as I have to buy a second hand one. We'll see. Ok TRA6518 installed and binded correctly. But unable to calibrate ESC... any clue ? Well... I am an idiot. After a week I finally found I didn't plug the esc to the right channel that's why I was not able to calibrate it. Have you tried moving the throttle trim back and forth to see if it might resolve your issue? It may be as simple as turning the throttle trim a bit. Not sure if anyone suggested this. If not, it’s worth a shot. its on the receiver, the throttle trim is not on the receiver. Well let's not update this topic anymore as the tx/rx works excepts this red blinking making no sense. Is your telemetry installed correctly? Assuming you are using it? I'm having this same exact problem as we speak. Did you ever come up with a solution?? There is two times the CH1 on this receiver. I was connecting the wires to the wrong places (both ch1 was plugged and it should not). Otherwise, if everything works (steering/throttle) and tx/rx is communicating fine and led is still red blinking, I didn't fix it. It work as a charm. Last edited by zeflex; 09-09-2018 at 06:48 PM. I had a similar thing happen this weekend, but I think it was caused because I was using two Traxxas TQi receivers at the same time. I ended up having to power everything off, update the firmware using the bluetooth module, and then bind each truck one at a time. It happened again later on and I ran out of sunlight. I will track my steps the next time. What was odd was the truck would steer in reverse but not in forward. I have never had that happen before. I have same issue, and I fixed it. Getting back into the RC game after 10 years! Turns out my RPM connector was plugged into the wrong port and was getting crazy readings on my speedo. The rpm lead loops into another connector so I swapped them around and all is good now. Basically the RPM & V/T connectors in the upper right hand side of the receiver were plugged in incorrectly so swapped them. And I was about to dump all the TX telemetry and add more sensors to my Expander!